The Friends of the Aiken County Public Library will have its Fall Book Sale on Saturday, Nov. 3, at 10 a.m. – 5:30 p.m. in the library’s first-floor meeting room. Select from used books, DVDs, audiobooks and videos, with proceeds going to the Friends in support of the Aiken County Public Library. Children’s Books will be $0.25 or less! In preparation for the upcoming book sale, we are accepting book donations. Please be sure that your donated items adhere to our donation policy. If you need help bringing the books into the second-floor reference desk, please call (803) 642-2020 ext 1131 before you arrive. And remember that we have a working elevator, which can be accessed from the parking lot on the York Street side of the building! 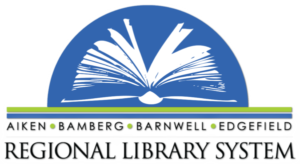 ABBE accepts donations of used books and other collection materials provided they enhance the library system’s collection. We will not accept materials that are not outright gifts, and we reserve the right to assign any materials wherever the need is greatest. Because of wear, theft and mutilation, the permanence of gifts is not guaranteed. Gifts of books and collection materials must be in usable condition. Because of limitations of space, money and staff the Library reserves the right to accept or discard any materials given to the library. The Library will make every effort to dispose of gift materials it cannot use to the best advantage, such as through Friends of the Library book sales or recycling. We request that all donations be clean, gently used, and have white (non-yellowing) pages. Boxes of books that have been moved directly from long-term storage without climate control. We cannot accept books that have not been properly inspected by the donor due to the possibility of pests or mold.